BackwoodsTV is now available on your smart phone and tablet devices! Now you can watch online streaming hunts from BackwoodsTV anytime, anywhere... even in your favorite tree stand. Visit BackwoodsTV on your smart phone, tablet or mobile device and get started today! What ever happened to the Hunting Show? 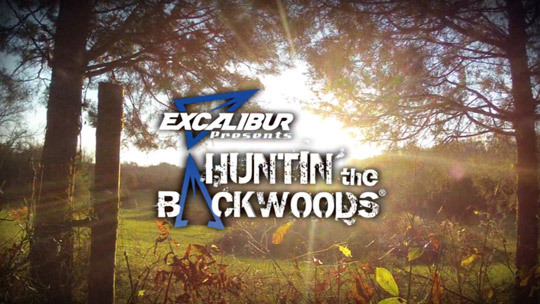 It seems like everywhere you look it's "Reality" television... Well, Excalibur's Huntin' the Backwoods is putting the real back in outdoor televsion. Every week real people with real lives hit the woods and hunt. Hosts Dan Wallace and Karl Metzler and the rest of the Backwoods Boys invite you along for the hunt each week. It's 30 minutes of no-nonsense, real hunting in the Backwoods of North America and beyond. 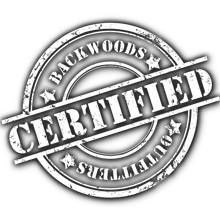 BackwoodsTV features hundreds of high-quality hunting videos available anytime. Stream full-length hunts from Excalibur's Huntin' the Backwoods on your terms. You can watch whitetail hunts, bear hunts, moose hunts, turkey hunts, and much more whenever you like. And, it's completely free.